Evolt is pleased to announce the Evolt 360 launch into the KPMG Revitalise Wellness Program on the 6th of March 2018. A new wellbeing program aimed at improving wellbeing and general engagement across the Perth office. Greg Hire, Vice-Captain of the Perth Wildcats and Ambassador for Youth Focus inspired attended the launch. 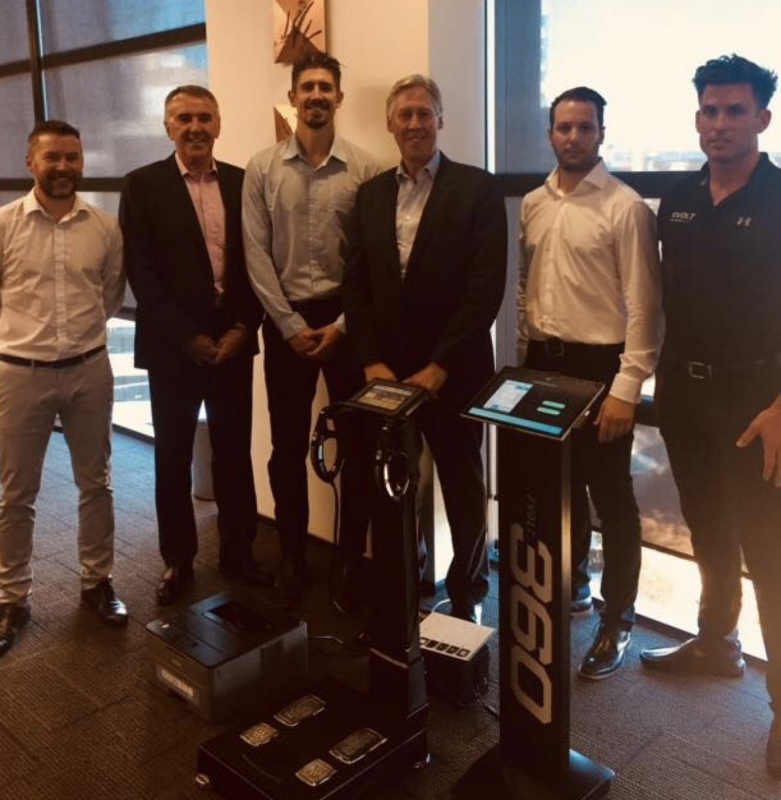 Since the launch, well over 50% of the Perth office has now completed an EVOLT 360 body scan and successfully uploaded the software application. The KPMG team consider the participation rate as outstanding and will allow the team to collate some really meaningful data from which the Perth Wellbeing Committee can develop data-driven activities and initiatives.